Microsoft is buying Xamarin – What does it mean? 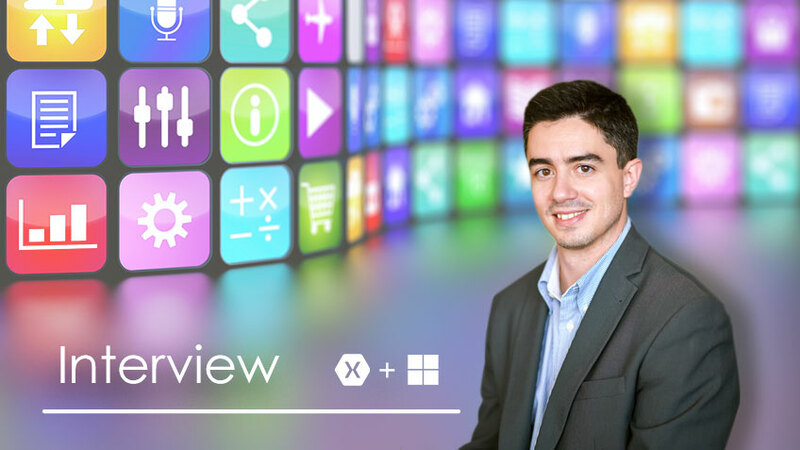 In a context where enterprise mobility begins to be one of the strongest pillars the digital strategy for organizations, we’ve interviewed Sergio Viana – Partner & Microsoft Solutions Lead the Xpand IT on the importance of cross-platform mobile development, commenting on the importance of Microsoft partnership and recent acquisition: Xamarin. 1. Why did Xpand IT decide to become a Xamarin Partner? We’ve decided to partner with Xamarin around two years ago. The truth is, we’ve been delivering mobile experiences to our customers for more than seven years, and the challenge of providing cross-platform apps was always an issue. How could we do it in a more sustainable way, decreasing the initial investment and the overall TCO of the solutions? I must confess that, initially, when we considered using Xamarin technology we were a bit skeptical because there were a lot of other companies that promise to have the solution to the cross-platform challenge but in the end, it is not a solution at all, it’s a compromise. After the initial evaluation we saw that all that Xamarin presented as their value proposition, was real and at that point, we’ve decided that we wanted to become Experts using its technology not only in Portugal but, as time went by, and customer references were created, in the world. 2. Considering where you are now, was that a right decision? Most definitely! In 2 years we have already developed more than 25 apps and are currently involved in many other projects. Some of them for customers in other countries. One of our biggest success stories was Crédito Agrícola’s CA Mobile Empresas app, a global reference that even Xamarin uses when they get questioned about mobile banking references with their technology. Our projects allowed us to start creating Xamarin Components that are currently available on the Xamarin Component Store and that are being used by companies around the world to accelerate their own solutions’ development. We have also developed two products using Xamarin, namely Xpack (an app focused on businesses’ employees and their specific use cases, and that we also use internally) and the XP Events (an app focused on increasing the interaction between event attendees and the event itself, and that has already been used by Caixagest, an investment bank that is our customer). We’ve created Xamarin Bootcamp, an on-site training that we delivered already several times, both in Portugal and in the UK. And we have international projects too. All of this was promoted in local Xamarin events, called Xamarin Experience – the only event in Portugal focused on the technology, that we delivered in partnership with Microsoft. So, yes, definitely the decision to partner with Xamarin was not just right, but an outstanding one. And you know what? We’re only starting! 3. What is your opinion about Microsoft acquiring Xamarin? There were some rumors about a possible acquisition some years ago. At that time I had the opportunity to express my opinion, and it was not a favorable one. However, in this new Microsoft that we see today, it makes total sense. It is a way of complementing the existing development tools, in this case, Visual Studio, and of setting a new standard in cross-platform development that is conceptually similar to what’s done for Universal Windows Platforms – share one code-base for different OS’s and devices. Besides, including the technology in Visual Studio is going to increase a lot the need for companies experienced in using the technology, and that’s where we come in! 4. Do you feel that by Microsoft acquiring Xamarin that are now fewer obstacles to adopting the technology? Overall, we haven’t found a lot of barriers when it comes to our customers choosing Xamarin. And the reason is quite simple: the investment rationale makes sense, and it allows for a shorter time-to-market when compared to the alternatives. Two things that we’ve heard from customers are related to the fact that Xamarin was still a startup so there was no way to be sure they would still be here 5 years from now (which now just doesn’t apply) and pricing (that could only be a problem for bigger teams, but it’s not an issue anymore). So, with this acquisition, Microsoft created all the necessary conditions for a massive adoption from the general Microsoft community for mobile development focusing other platforms – but also for developers of other platforms and wanted to follow an efficient cross-platform approach with no compromises concerning usability and performance. 5. Are there any less positive aspect in this acquisition? I wouldn’t call it less positive, but there are some things with which I am curious to see how they are going to be addressed. We’ve done a lot of stuff with Xamarin, so we have a very close relationship, and acquisitions sometimes create some distancing from our regular contacts and teams with whom we’re already working. However, best case scenario is we win even more contacts inside Microsoft that are quickly put up to speed on what we’ve done! Considering the awesome relation we have with Microsoft in Portugal, it definitely will be good to win some more contacts in other subsidiaries or Microsoft Corp.
6. Can this acquisition benefit Windows Mobile, in any way? Those are two different subjects. Xamarin allows you to create cross-platform apps and solves problems, by using Microsoft technologies, that even companies that only focus on iOS and Android already have: code sharing among apps, investment, time-to-market, etc. Windows Mobile, as an OS, has had a not that impressive when considering global share for the consumer market – although in some regions the adoption is very relevant. However, my understanding is that the biggest benefit for Windows Mobile is Microsoft’s broader strategy: everything is Windows! With Windows 10 being used in different devices and form-factors, and in almost 300 million devices already, it’s already one of the most important OS’s. And what we see, every week, are companies that announce they already developed or are developing Windows 10 apps – that will work on smartphones. This way, the well-known app gap will inevitably disappear and then it’s only a matter of ensuring the OS’s stability in the different device families. It’s a bold strategy from Microsoft that is already bearing fruits and, in my opinion, a genius move from Microsoft. 7. Finally, what do you expect to get from this partnership in the future? Xpand IT has an unyielding cooperation with both Microsoft and Xamarin, which are now becoming one and the same. With the projects we already have, in Portugal and abroad, and because we opened our London office last year, this will certainly be a year for growth with new partners and customers in different industries. I am betting on a very consistent growth in terms of services and in the adoption of the products we already have or that we’re going to create – because they have a very serious value proposition for them. I am confident that success is a natural consequence of hard work, it doesn’t come by chance. And the level of commitment we have in this partnership, as well as the innovation we keep bringing to what we do, I have no doubt we will keep raising the excellence standards by which we abide, encouraging companies and people to achieve outstanding results!